Cool! 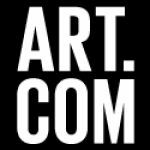 Save an average of 20% on Art.com with 43 Coupon Codes, and 8 Deals! Details: Save 25% on all orders of Art, Prints, Posters, Fine Art, Decorative and More. Expires on 01/31/2014. Details: 30% off your purchase. One coupon per order. No discounts may be applied to the purchase price of any Limited Editions and the "Museum Curated" collection. Expires on 01/24/2014. Details: Save 35% on Your Framing Order. Use promo code at checkout. Valid for a limited time only. Details: Get 15% off All Orders. Expires on 01/22/2014. Details: Decorate with Photos You Love! Choose to turn your favorite pictures a great canvas, or find the perfect custom frame, wood mounting and more. Details: Find Art That Fits Your Style. Shop all categories any types at great prices! Details: Get up to 75% off winter clearance. Valid for a limited time. Details: Extra 15% Off with Framing + Free Shipping! Valid for a limited time. Details: 22% Off Sitewide. Expires 4/13/2012. Details: Save When You Sign! Get A $25 off joining fee With Code For A Limited Time. Details: 20% off till 2/3/13. Details: Take 20% Off Your Entire Purchase! Valid for a limited time only. Valid through 3/11/13. Details: Get an extra 30% off your entire purchase. Offer valid through 1/11/14. Details: 20% Off Your Entire Purchase! Valid through 1/20/13. Details: 35% off framing. One coupon per order. No discounts may be applied to the purchase price of any Limited Editions and the "Museum Curated" collection. Expires on 01/24/2014. Details: Get 35% off orders over $150. One coupon per order. No discounts may be applied to the purchase price of any Limited Editions and the "Museum Curated" collection. Expires 01/17/2014. Details: 30% off your entire purchase. Expires 10/18/2013. Details: Save 25% Off Any Purchase Just For Signing Up for Email. Offer valid for new subscribers only. Details: Join Other Users in YOU+ART to Collect and Share your Favorite Pieces. Explore online galleries and view art in a virtual room for inspiration. Plus, sign up and meet the other insiders from this growing community! Details: Shop Modern Art with a Pop Culture Focus for Artists Including Andy Warhol and Roy Lichtenstein. Details: Save up to an extra 75% on select best sellers! Valid while supplies last.